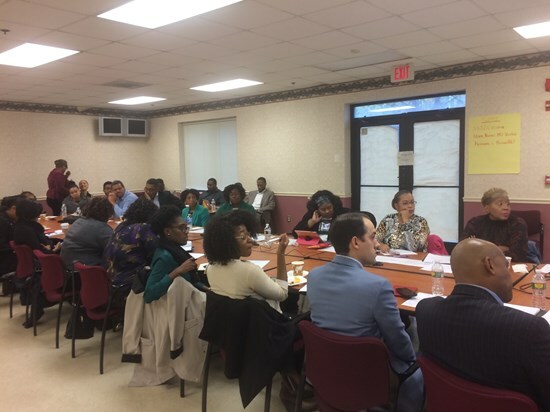 The Black Voter Alliance (BVA) began meeting June 2016, after conversations with Black-led organizations indicated that this would be another year, where these organizations failed to be invited to participate in the broader conversations about civic engagement. Led by some of the strongest Black Organizations in the country, the Black Voter Alliance, co-convened by the National Coalition on Black Civic Participation including the Black Women’s Roundtable and Black Youth Vote, the African American Clergy Network, the Ronald W. Walters Leadership and Public Policy Center at Howard University, and the NAACP Voter Fund, brings together organizations who have an interest to ensure that the black community has a high level of civic engagement. While other coalitions pick and choose who can participate or request organizations pay cost prohibitive membership dues, BVA offers an open forum to simply have a place to freely share information and discuss the best way use this information to advance the civic participation of African Americans, with increased efforts focused on voters for the 2016 election. All BVA activities are conducted as a non-partisan, 501(c)3 effort. 1. The voice of black voters is not marginalized in this election or in future elections. 2. Participating organizations act intentionality to have a high percentage of black voters participate and engage in the process. 3. Participating organizations commit to sharing information thus allowing each organization to make informed decisions about its contribution to increasing civic participation. 4. While some organizations in the conversation, may do work in other communities, this conversation will ONLY concern itself with work designed to engage the African American voter.